Welcome to Day 7 of the 30 Chic Days series. If you’ve just joined us, you can catch up from Day 1 here. Remembering what I want to achieve. Tea first thing – one cup. But… it was a super-duper giant cup. My husband surprised me yesterday afternoon when he came in having bought me a special morning tea cup. Possibly because he often makes the second cup for me. It holds two cups so I only need to have one. So cute! Lunch – Mini-pizzas we made at work in our toasted sandwich maker – mini corn wraps with tomato paste, mozzarella cheese, Cabanossi, orange capsicum (bell pepper) and sliced mushrooms. I had three, they are delicious and such a nice treat. The mini wraps are about 10cm/4in diameter. Then an apricot bliss ball and coffee with creamy milk. Dinner – Chicken breast pan-fried in olive oil with seasoned salt and dried thyme, plus a misting of balsamic vinegar served with steamed/dressed in olive oil carrot, cauliflower, green beans and broccoli. And homemade smoked cheddar sauce. Decaf coffee with creamy milk and a peanut butter bliss ball. I’ve bought some ingredients to make my own! The lovely Cal at Kiora Cottage told me on Instagram how she makes hers, plus I’ve been noting down the ingredients on the packs of Frooze Balls I have. Farmers black fine-knit merino cowl neck top with Denny Rose green leopard print jeans and black suede Clarks boots, gold cuff bracelet. 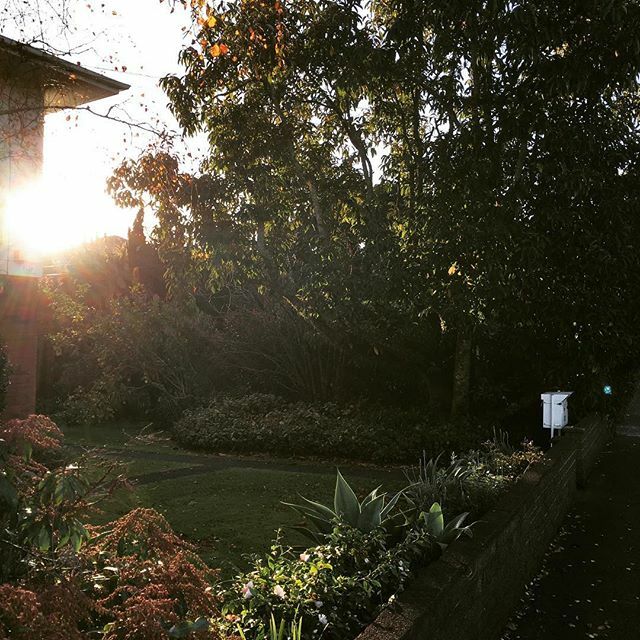 I went for a 40-minute walk about 4pm and it was such a lovely time of day. The sun was just starting to go down, since it’s a week off the official start of winter here. Quite magical really, the blue hour is the famous time isn’t it (the classic Guerlain fragrance Le Heure Bleu is named for it)? 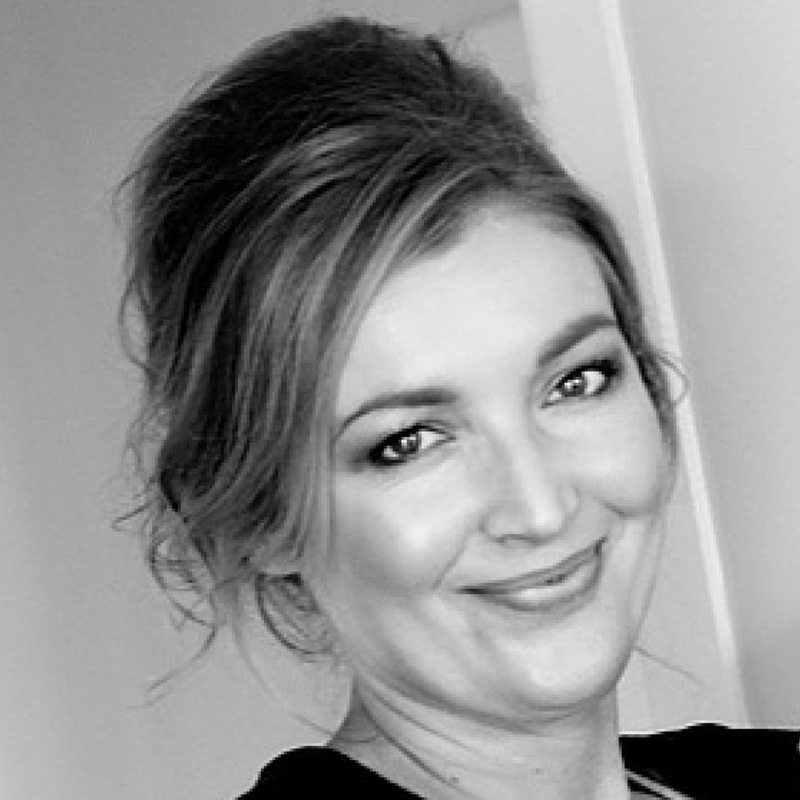 I read a few pages from one of my old favourites – Entre Nous by Debra Ollivier. Hers was one of the first ‘french chic’ genre books I ever bought. It still makes me happy today and it’s like visiting an old friend when I open to a random page and read a snippet or a chapter before I nod off to sleep at bedtime. I love old friends! Just feeling good. Being a recovering perfectionist I find myself searching through my mind for something that is not quite perfect so I can worry about it. It feels quite foreign but oh so refreshing to skip looking for things to concern myself with and simply bask in the feeling that everything right now is exactly as it should be; if it wasn’t, it would be different. So I did all my usual tasks at work and home, but felt lightweight about it. 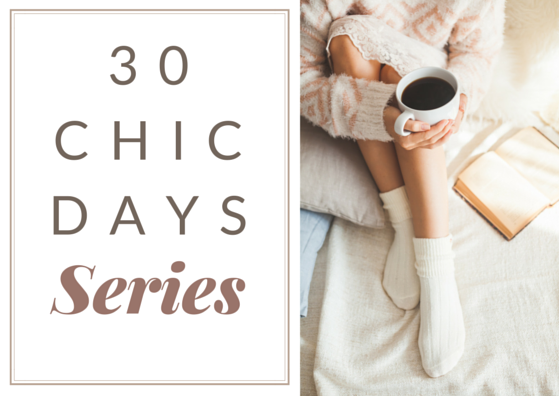 Are you joining in this 30 Chic Days Series too? If so, please mention this in the comments so we can click through to your blog, or if you don’t have a blog and would like to participate, you can let us know in the comments how your day went. See you tomorrow, be chic! 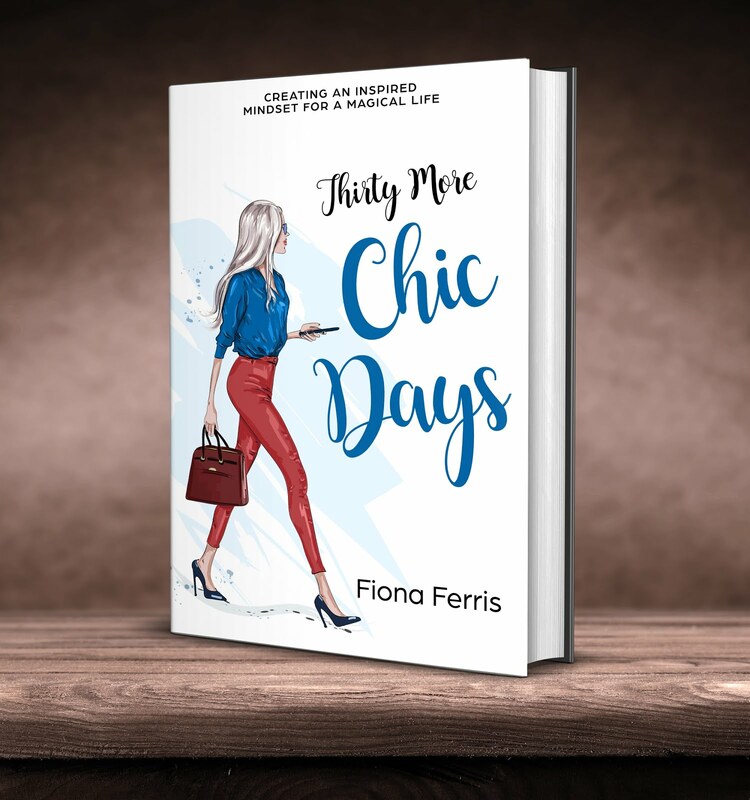 I have been inspired by you and Sue Walker to start 30 chic days myself. Thanks for the push. Hmmm, my day wasn't so chic I'm sad to say..... A current bout of insomnia brought on by an ongoing (but hopefully short term) stressful situation saw me wide awake at 4:45am today after only about five hours sleep. Ick ! I think I was in 'survival mode' this morning as I raced out the door wearing shabby chic - with emphasis on shabby and less of the chic. Even though it's officially winter, our Indian summer had its last hoorah today and the unseasonable warmer temps combined with my physical work (and premenopausal system) resulted in my one-day-since-washed hair going super frizzy. My face was ruddy and I must have looked like a crazy cat lady by the time I was bolting thru the supermarket to get essentials for dinner. Oh I love the idea of 'just feeling good', today at work I couldn't shake this odd anxious feeling. By the time I was leaving to walk to the train I had a good chat to myself about just knowing & accepting that things are actually ok. Sometimes I will achieve 19 things in a day but still dwell on the one thing that didn't get done or didn't go as well as planned. Ahhh perfectionism. I think I will give the idea of feeling lightweight about things a go. I really hope you like the balls, I have people at work trying to get me to make weekly batches for them now haha. 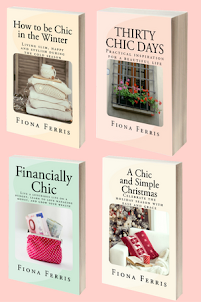 Entre Nous was my first 'French Chic' book as well! It's delightful! One week done, you are doing so well. Loved the sound of your outfit, BTW. Lara, these days happen - chic doesn't mean perfect, but it does mean dealing with the inevitable days like this with elegance and poise. It sounds like you did that. My thought on days like this is just as you have said - 'tomorrow is another day'. I also think not being so hung up on how we look, even though we like to make an effort to look nice, is a chic attribute to have too. Cal, you're just like me! The nagging thought of 'what can I worry about?' and also fixating on the one thing that went undone or wrong rather than everything else I did amazingly. 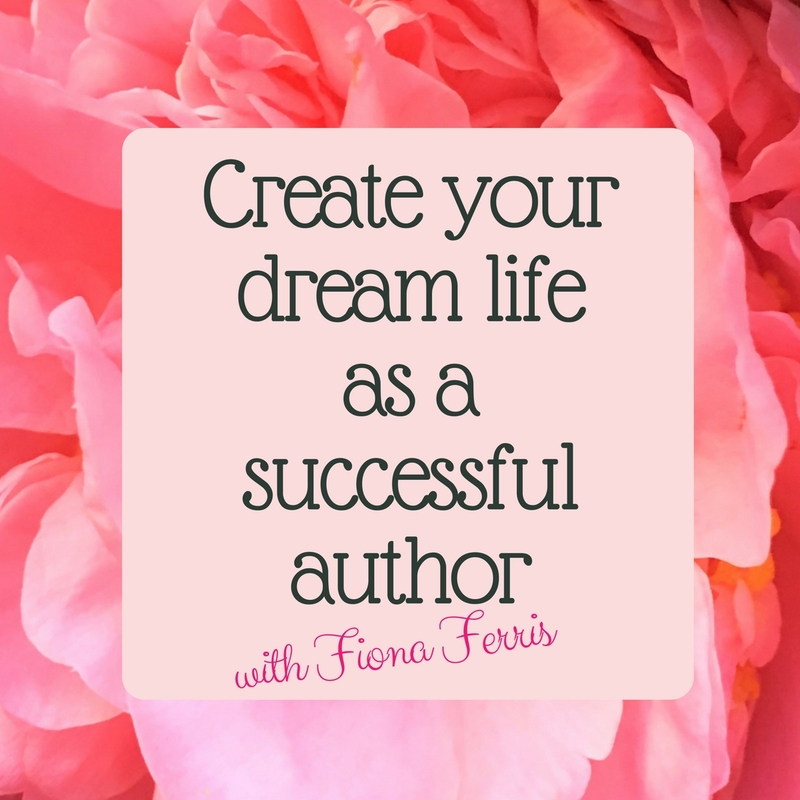 Thanks so much for your bliss ball recipe too! Patricia, I don't know if they've changed the cover since I bought mine, but part of the joy of this book is the textured paperback cover; it adds luxury to the experience. 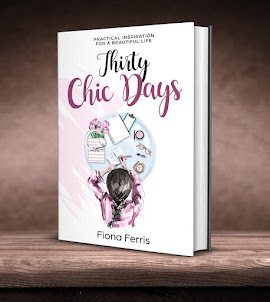 Thirty Chic Days is now available!